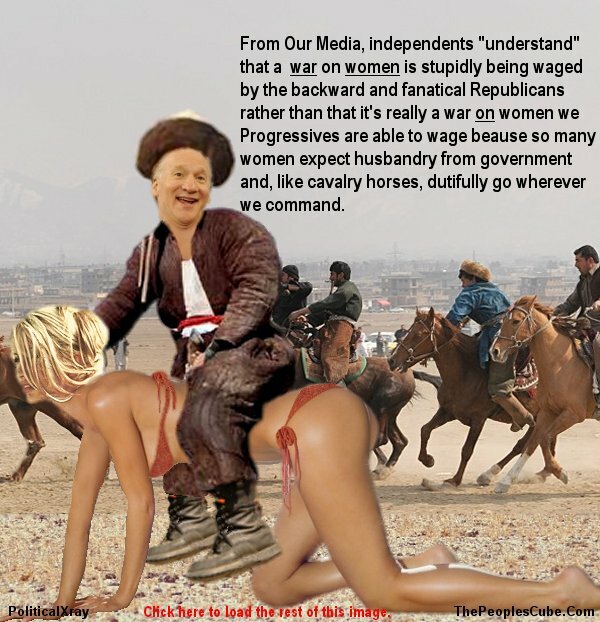 --See also "Republican WAR on WOMEN versus Democrat War ON Women -- Bill Maher and Barack Obama"
--See also "War on Conservative Women"
--See also "Sandra Fluke Up For Womyn Campaign"
--See also Monica Lewinsky Tells "Forbes Under 30 Conference" Her Mission is to End the War ON Women; Bill Clinton Says It Depends on What the Meaning of "On" is. 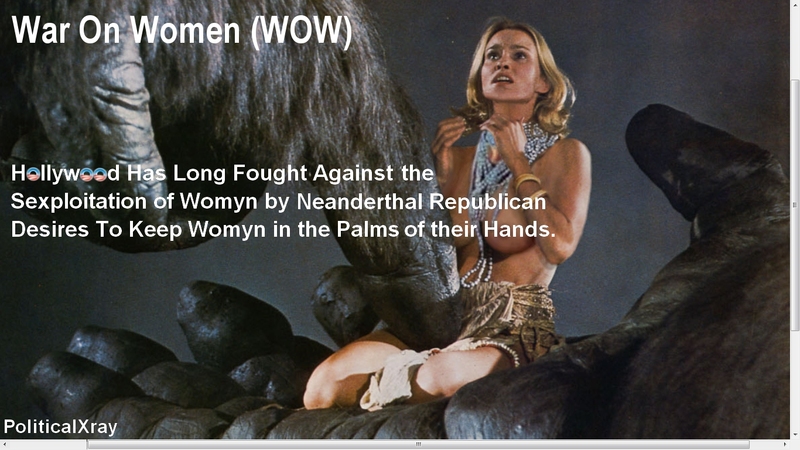 Republican King Kong Fingers Jessica Lange in War on Women. Republican "War on Women" versus Democrat "War On Women" -- Bill Maher and Barack Obama. 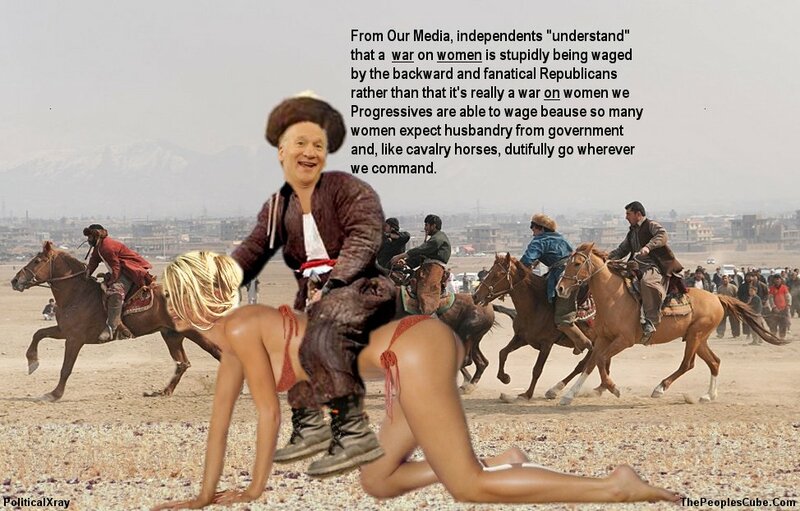 Explaining Bill Maher and Barack Obama: From Our Media, independents "understand" that a war on women is stupidly being waged by the backward and fanatical Republicans rather than realizing that it's really a war on women we Progressives are able to wage because so many women expect husbandry from government and, like cavalry horses, dutifully go wherever we command. Click Image Below to Enlarge it.